Champion awards in form of gold cups and certificates. Shiny goblets with seals as win approval. 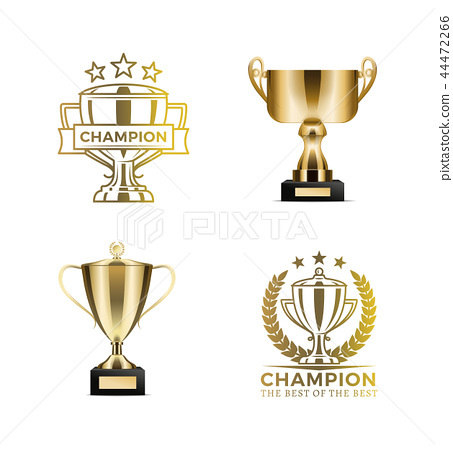 Trophies for best results vector illustrations set.